Why a Kitchen Trash Compactor? Most people don’t think of a trash compactor as a kitchen essential or mainstream item. But that could not be further from the truth if you want to have a lean, clean kitchen. If there is one thing that is inevitable in the kitchen but which we wish we could get away with executing less, it is certainly emptying the trash. Especially when having to do so means missing a few minutes of that show or game we have been looking forward to all day or preparing to entertain friends or family at home. 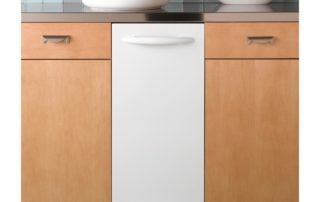 If you relish the thought of an immaculate kitchen but are not too fond of having to take out the trash regularly, a trash compactor is most certainly the appliance you will soon find essential. 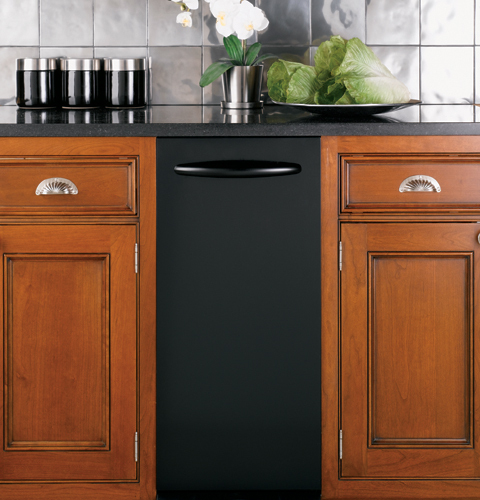 Trash compactors are sleek, efficient and noiseless and even trendy again and can help increase the amount of space you have in your kitchen by eliminating bulky conspicuous garbage cans. With very little space you can reduce the volume of trash in your garbage can by up to 80% making your chore much easier. You can also reduce your daily chore of taking the garbage out to once a week. Trash compactors are also very useful for those who don’t have trash pickup very often, or for those who live where there are expensive surcharges for multiple bags of trash. Saves Natural Resources – By making products from recycled materials instead of virgin materials, we conserve land and reduce the need to drill for oil and dig for minerals. Saves Energy – It usually takes less energy to make recycled products; recycled aluminum, for example, takes 95% less energy than new aluminum from bauxite ore. Saves Clean Air and Water – In most cases, making products from recycled materials creates less air pollution and water pollution than making products from virgin materials. Saves Landfill Space – When the materials that you recycle go into new products, they don’t go into landfills or incinerators, so landfill space is conserved. Saves Money and Creates Jobs – The recycling process creates far more jobs than landfills or incinerators, and recycling can frequently be the least expensive waste management method for cities and towns. Start pitching in. Remember to reduce, re-use and recycle. Compost food and yard wastes. Buy product brands that use less packaging. Buy recycled and reusable as much as possible. Invest in products that last; avoid buying throwaway products such as disposable razors, pens, paper plates, etc. In your house: substitue a non-toxic solution of baking soda and vinegar for your basic household cleanser; use boric acid where you would use insecticides. Call your state or local representatives to find out how to organize a recycling program for your community. Stop wasting at work. Make double-sided copies, circulate documents rather than make individual copies, use coffee mugs instead of styrofoam cups, proofread your documents on screen instead of printing out copies… and use Ecolo-Bags to collect paper for recycling!